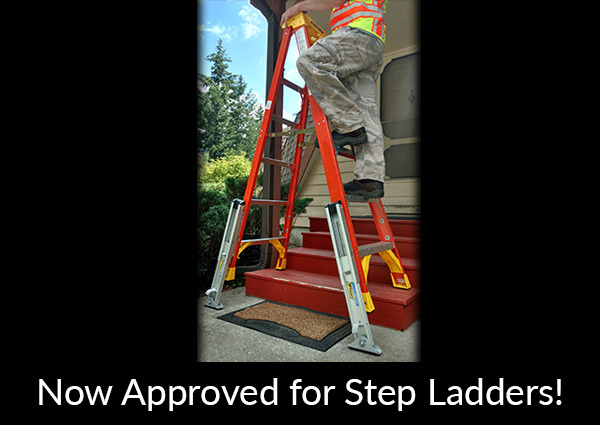 Now Approved for Step Ladders! 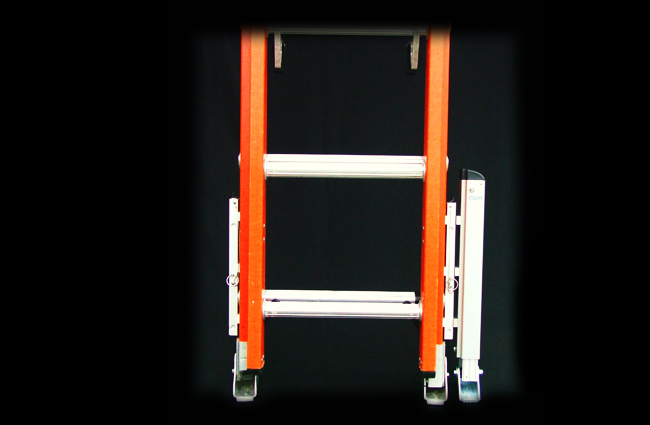 Although the Levelok, Quick Connect Leveling System fits almost any type, style or brand of ladder, it was originally designed to be used with articulating ladders, such as the Little Giant Classic, Revolution, Megamax, Alta One, Velocity, Werner MT, Louisville L-2094, Jaws, etc. These ladders tend to be somewhat heavy and bulky. 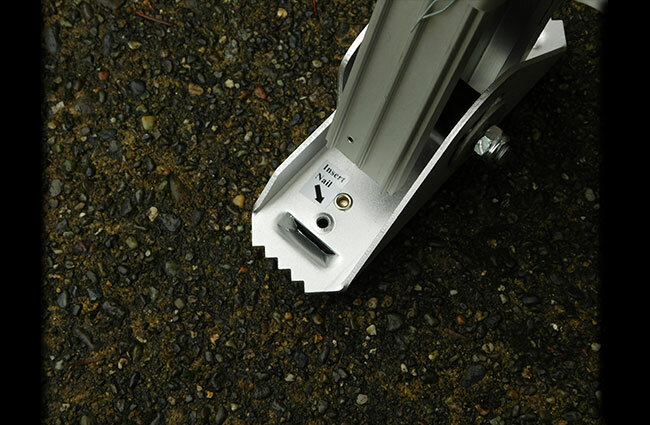 The Levelok (KeyLok) System keeps the weight and bulk off the ladder until the accessory is needed, thereby enabling quick, safe attachment or detachment of a product that meets all the North American, portable ladder standards, including the recently published ANSI, A14.8 Ladder Accessory Standard. This qualifies the Levelok Leveling System to be used on ladders up to and including a Type 1AA, 375 pound duty rating. 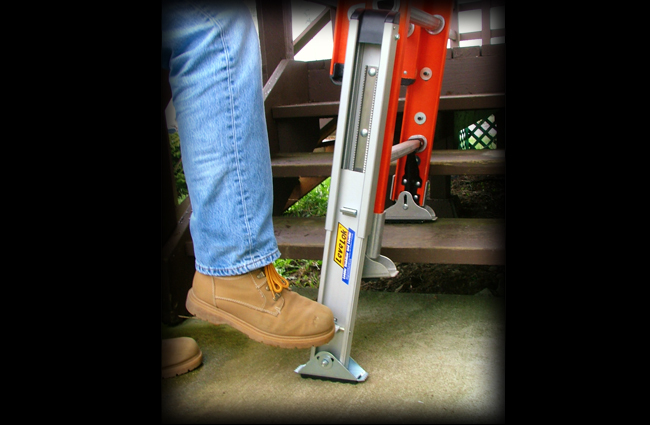 Now you can simply and quickly attach a ladder leveler to any ladder. By installing Keylok® Base Units to multiple ladders you are essentially equipping each one of them with a leveling system while adding a minimal amount of weight. Why carry an extra nine pounds when it’s not necessary. Each base unit weighs only 9.1 oz. Pairs of Keylok® Base Units and/or single Keylok® Levelers can be purchased separately. This product is now approved and used by companies like Verizon and Time Warner. 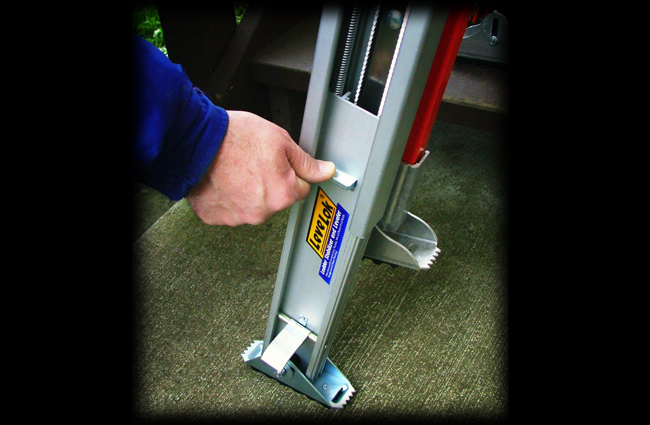 Note: This Leveler is approved for installation on ladders up to and including Type 1AA (375 lb) duty ratings. Like its namesake (the LL-STB-1), the KeyLok® Quick Connect Leveler is backed by a Two Year parts and labor warranty. Level your ladder in less than five seconds! Finally, a system that enables quick, secure attachment or detachment of ladder accessories, minimizing weight and bulk on ladders that are already too heavy, too bulky and too awkward. The patented, Keylok® Quick Connect Leveling system does just that. Just snap the leveler on and go to work. When you’re done, pop it off, put it in your tool box or snap it onto another ladder for a different job. 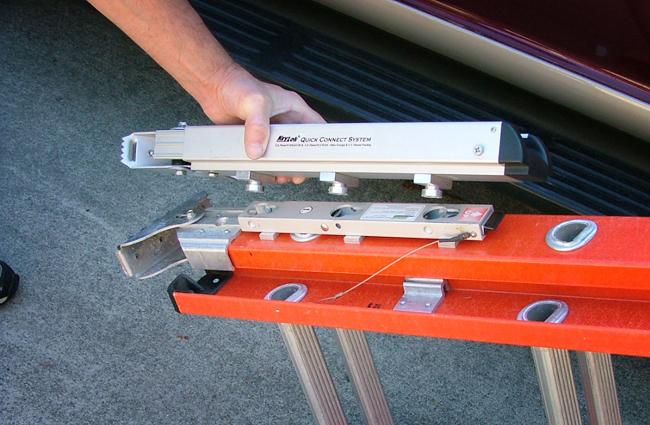 No other leveler provides as much versatility or safety. For sectional, wood, or other ladders with thicker rails, see Accessories tab below for longer bolts and additional spacer plates. 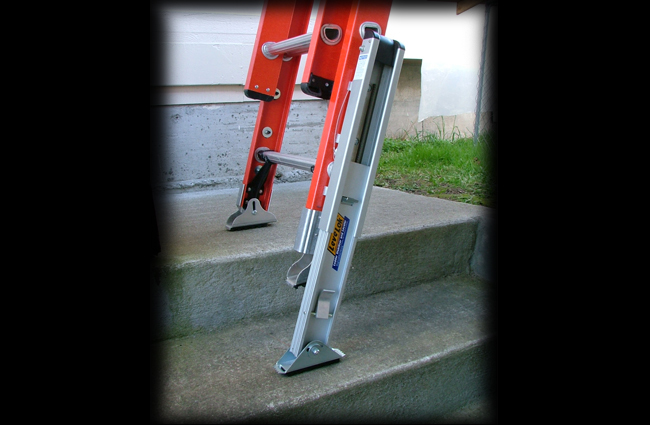 Alternative search terms: Adjustable ladder leg, Ladder Leg Extensions, Leg Levelers. 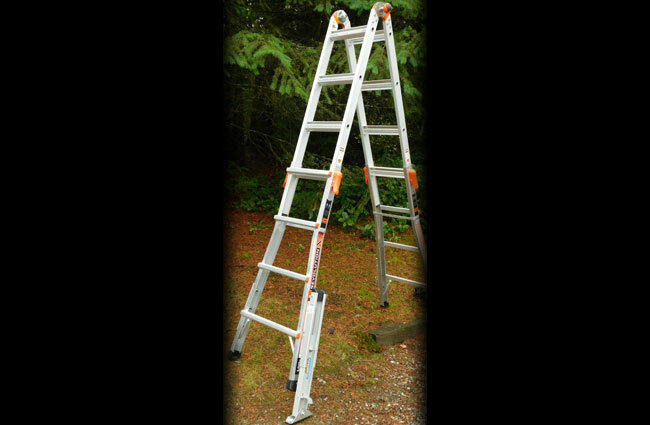 Ladder Leveler and/or Base Units can be purchased separately. Extra Long Mounting Bolt Kit used for mounting base units on thicker ladder rails or to stand base unit out and away from ladder rail by as much as 1-1/4″. Set of 6 extra long, hex drive, mounting bolts: Dimensions: 2″ long x 5/16″ diameter. 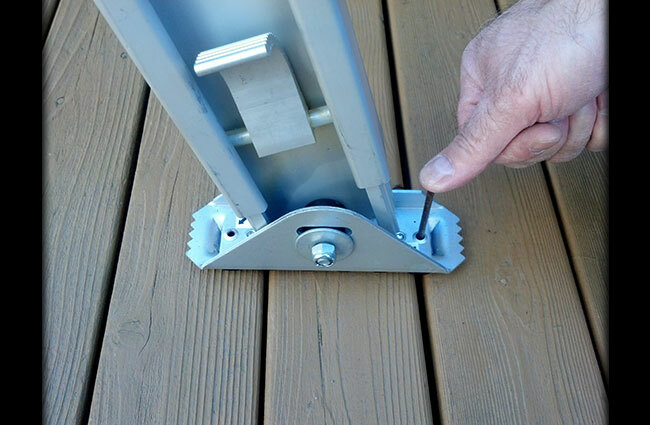 Mounting Bolts used for installing Quick Connect Base Units on most standard ladder rails. Set of 6, standard length, hex drive, mounting bolts: Dimensions: 1-1/4” long x 5/16″ diameter.